Scottish football fans have long endured Glasgow and Edinburgh as the purveyors of footballing product for many years, but this season, perhaps another region in our ‘wee nation’ merits a note. Despite my love for Rangers, I can’t help but feel a little proud this season to hail from Ayrshire. Ayrshire’s two ‘big clubs’, Kilmarnock and 1st division outfit Ayr United have had seasons that I’d describe as nothing short of remarkable. Despite their bitter rivalry, it’s fair comment to praise the progress that both clubs have made this season. The pair of course met in the Scottish League Cup semi-finals this season. Kilmarnock may have went on to win the game 1-0 to reach the final (more on that later), but for both teams to get this far was a magnificent achievement in itself. Kenny Shiels’ Kilmarnock hadn’t reached this stage since they made the 2007 final, while Brian Reid’s Ayr United hadn’t reached the last four since they made it through to the final in 2002. Ayr fans may have been gutted coming back down the road to Ayrshire, but the game showed off the passion amongst Ayrshire football supporters. 25,000 of them made the trip to Hampden and the atmosphere was electric throughout with both sets of supporters getting right behind their teams. In the build-up to the game, my Facebook ‘newsfeed’ was filled for weeks with comments about the match, which showed how great the rivalry and indeed the spectacle was. I’m not suggesting that the rivalry is up there with the derby matches in Glasgow and Edinburgh, but there can be no doubting friendships go out the window on a day of a Kilmarnock V Ayr game. Kilmarnock did have a fairly comfortable route through to facing Ayr, beating lower league teams Queen of the South and East Fife. But you can only beat what is put in front of you and Kenny Shiels made sure that his team didn’t suffer any shocks. However, that paled in comparison with Ayr’s run in order to face their Ayrshire rivals. Brian Reid’s men are a part-time side but completed three superb victories over top division sides Inverness, Hearts and St Mirren. Their football may have not been the prettiest, but it was certainly effective. And although they were criticised by Shiels for their performance in the semi-final, it almost worked a treat. To hold an SPL team with far greater resources for 109 minutes of a Hampden semi-final was something to admire. And something else to admire was Kilmarnock reaching the final. It was the first time they had done it in five years and only the fourth time they had reached a domestic cup final in the last 15 years. Not many football fans including, let alone Kilmarnock fans, gave Killie much hope of winning the League Cup Final against Celtic. Neil Lennon’s men had been on a great run of form domestically having not lost since 2nd October. Kilmarnock on the other hand had been inconsistent all season and sat in the bottom half of the SPL before the game. They were also without their inspirational captain Manuel Pascali who had broken his leg, days after the victory over Ayr. 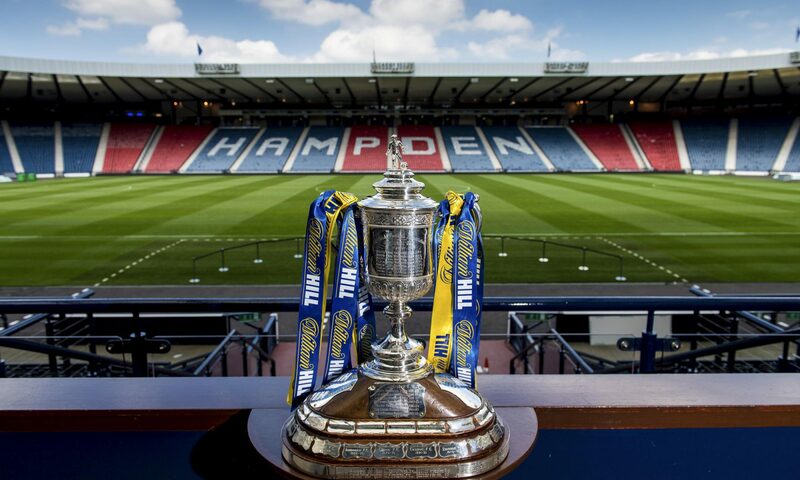 But less than two weeks ago, Kilmarnock won the League Cup for the first time in their history, thanks to a solitary goal by Belgian striker Dieter Van Tornhout. Goalkeeper Cammy Bell also produced a world-class performance to deny Celtic on many occasions. The aftermath was tinged with sadness following the death of Kilmarnock midfielder Liam Kelly’s father but the town still came out to celebrate the glorious achievement afterwards. It was Kilmarnock’s first trophy in 15 years and their brand of passing football had been richly rewarded. Their brand of passing football has also seen them achieve many memorable SPL results this season, most notably two victories over Rangers. Back in November they became the first SPL team to beat Ally McCoist’s men thanks to a late goal from Manuel Pascali and then in February they stunned the sell-out Ibrox crowd by beating them by the same scoreline again. Kilmarnock may currently be 7th in the table with only a remote chance of reaching the top 6, but that does deserve to be praised. Many pundits tipped them to go down at the start of the season but there has never been any danger of that. Players such as Dean Shiels, Cammy Bell and Pascali have been very consistent all season. Kenny Shiels hasn’t spent long in the Scottish game, but this hasn’t stopped him winning many plaudits, and standing an outside chance of winning manager of the year. Ayr United have toiled as the season has gone on, despite their bravery, willingness to attack, great record against SPL clubs, and overall lack of resource. They currently sit 8th in the table, and look likely to hold on to 1st division status this year. Remaining financially prudent generally, despite being a part-time club is a formidable feat. Killie, with Shiels at the helm have been galvanised and continue to punch above their weight, proving to be a tough customer for the very top clubs in Scotland. If Ayr are to fulfil the potential they’ve shown, they must continue to take a leaf out of the book of their rivals. They are capable, and there’s no doubting that the SPL has been a stronger and more attractive league with Kilmarnock playing the way they are. As a local, I always like to see both Ayrshire teams do well. It is good for the local economy, the people of the towns, and has created a buzz for football again in this area. It just goes to show that Scottish football doesn’t need a complicated masterplan to get back to it’s best, just the right people in the right places, some attacking football, and a bit of belief. Let’s hope they finish the season in style and give some of the nation’s other struggling football areas some food for thought next season.